No one can “search too far or be too well-studied in the book of God’s word or in the book of God’s works,” said Francis Bacon, who like other early scientists saw no conflict between pursuing both a life of faith and a career in science. Many of the founders of the scientific revolution were devoted Christians who were not interested merely in the “how” of nature, but also sought to understand the “why.” At its core, chemistry is discovery. Chemistry is the marriage of art and science; it explains matter and the changes that it goes through. 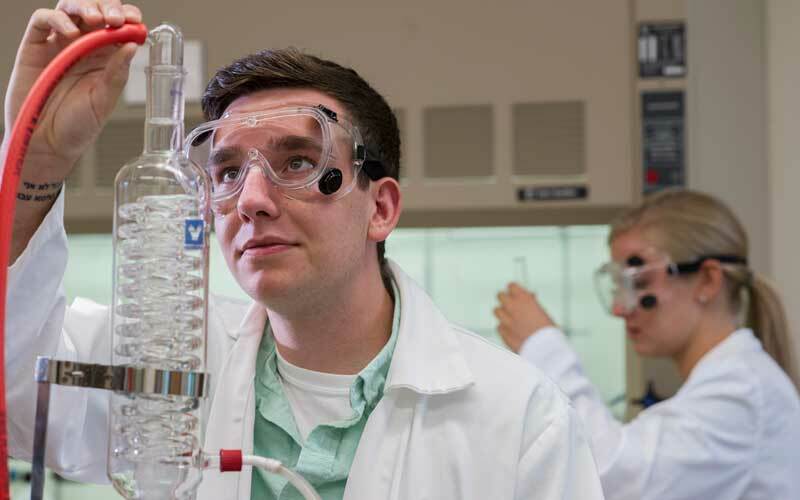 As a chemistry major at Huntington University, you will engage in research and receive hands-on experience in the laboratory. Students are immersed in the excitement of chemistry and its related sciences, as well as applications to many career areas including things like medical school, research laboratories, and science education. 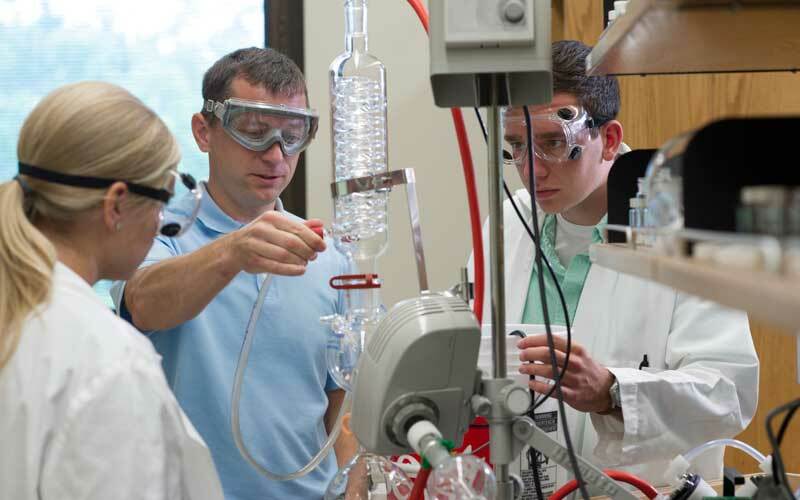 Chemistry students have the option of specializing in biochemistry, pre-pharmacy, pre-medicine, or chemistry education. There are also minors available such as environmental science, forensic science and nutrition. Like many students, you may enjoy the benefits of paid summer research projects of various types, on campus, in medical research facilities, and at other universities. 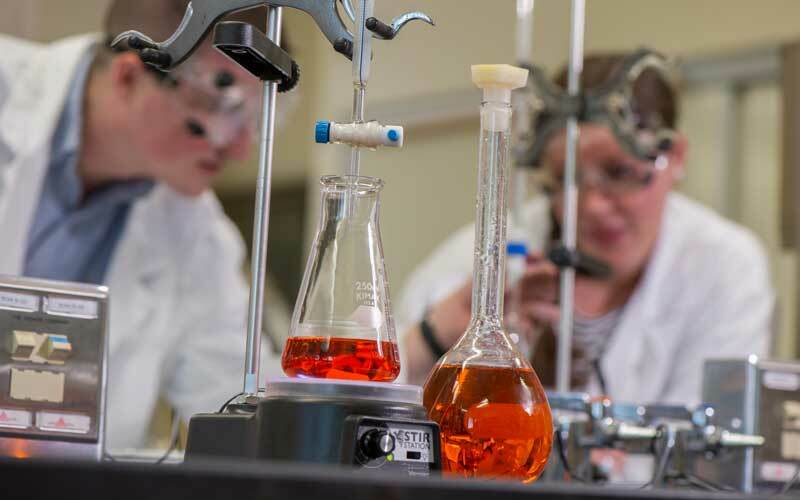 Regardless of the area of specialty, chemistry majors at Huntington University have gone on to have successful careers in chemistry education, forensic science, and the pharmaceutical and biotechnology industries, and many have completed award-winning chemistry research. 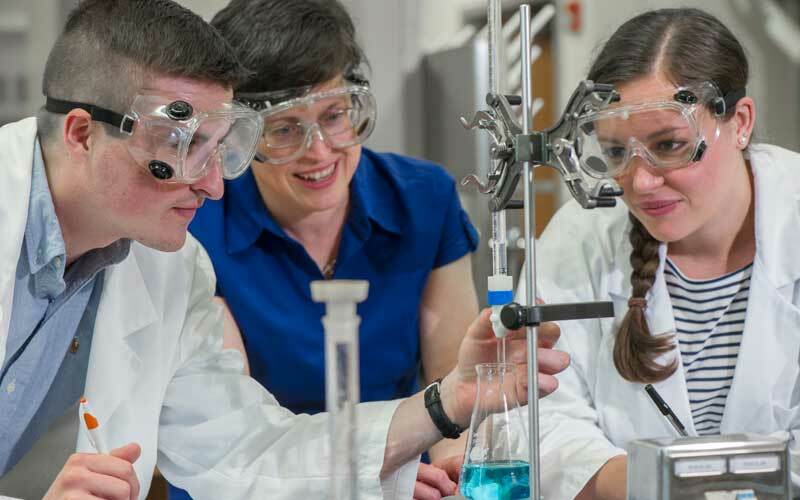 Students in our chemistry program benefit from cutting-edge labs and state-of-the-art facilities. Our science programs are housed in our 90,000 square-foot Dowden Science Hall, which offers student-friendly spaces and research equipment, as well as laboratories and multimedia classrooms. There is also an instrumentation center with excellent professional instruments used in industry as well as research. 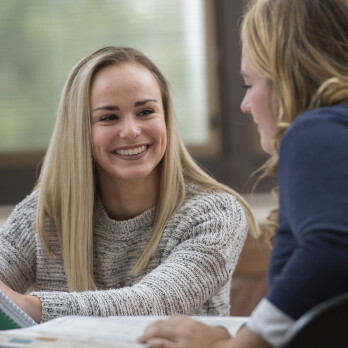 Outside of the classroom, students are able to serve as an officer in the pre-health professions club, listen to researchers at the Smith Lecture Series, or work on publishing a co-authored article with a professor. 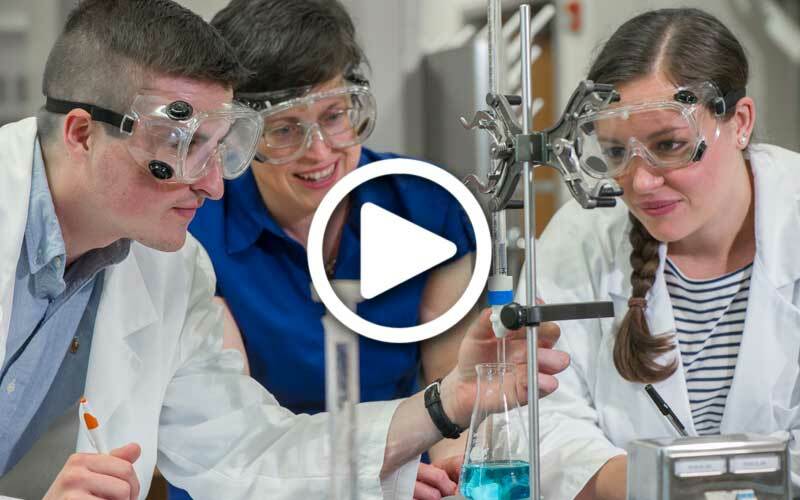 Find out what you'll study as an HU chemistry student. 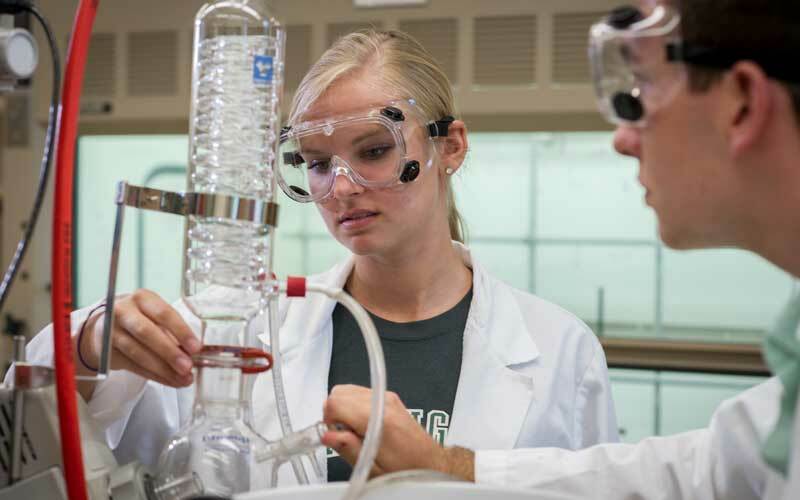 If you dream of a career in chemistry, you've got to check out Huntington University! From our new greenhouse to our hands-on internships to our science-specific clubs, HU's science students are some of the best in the field. Meet our faculty, tour our facilities, meet current students, ask questions and more. This visit day is all about showing you what it's like to be a Forester at Huntington University. Join us on February 8! 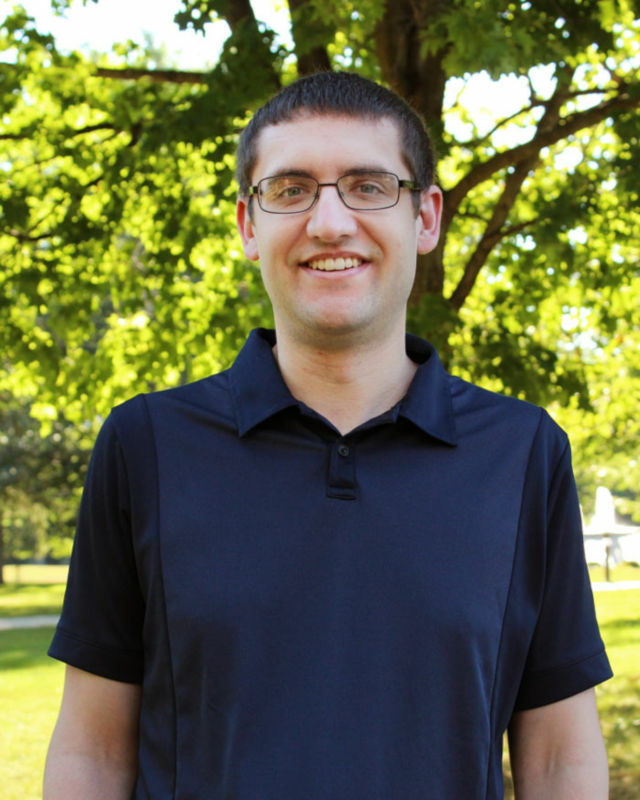 If you enjoy studying the effects of solvents on CdSe quantum dots and nickel porphyrins, then you may just follow in the footsteps of 2010 grad Andrew Schwartz. 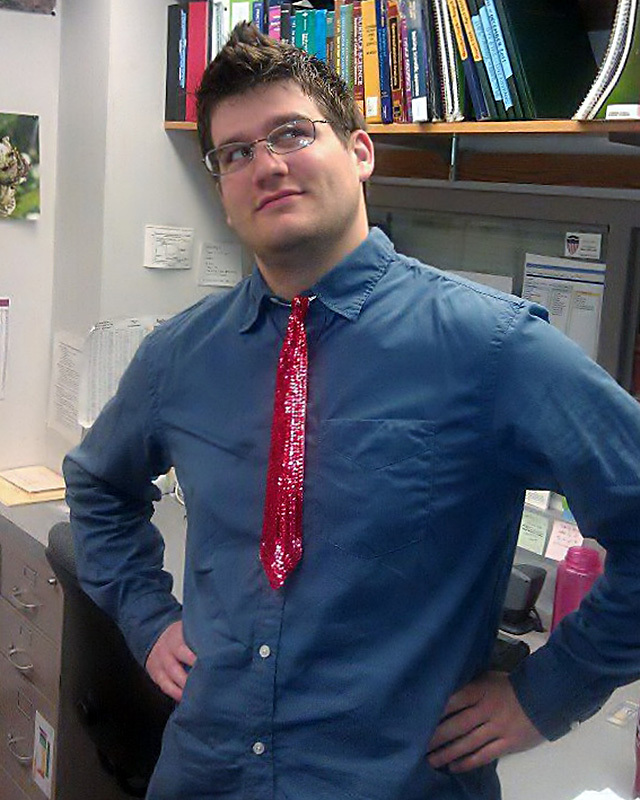 Schwartz developed his love for field working under Dr. Ruth Nalliah, professor of chemistry at Huntington. Her lectures interested him in the field of research, and the small classes and one-on-one attention from professors made him love Huntington. 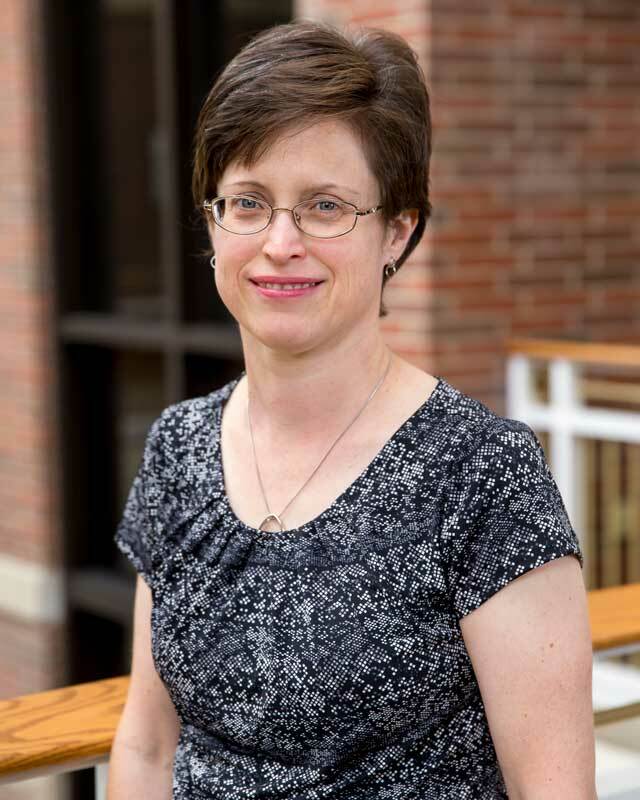 While at Huntington University, Schwartz spent three years as the manager of the chemical storeroom and as a lab assistant. He also had the chance to perform research in the department, working on three different projects across his undergraduate career.